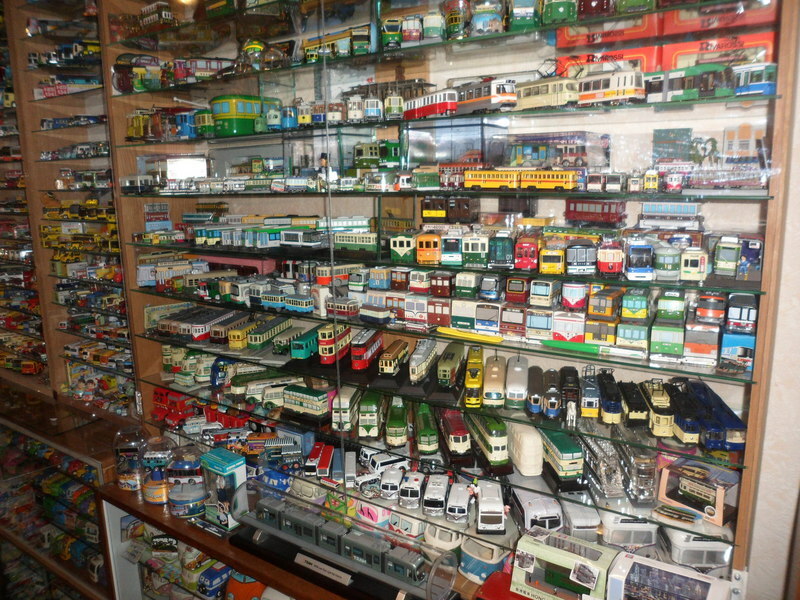 An extensive and varied section of the collection has been obtained from Japan when throughout the 70’s and 80’s Geoff corresponded with two collectors. 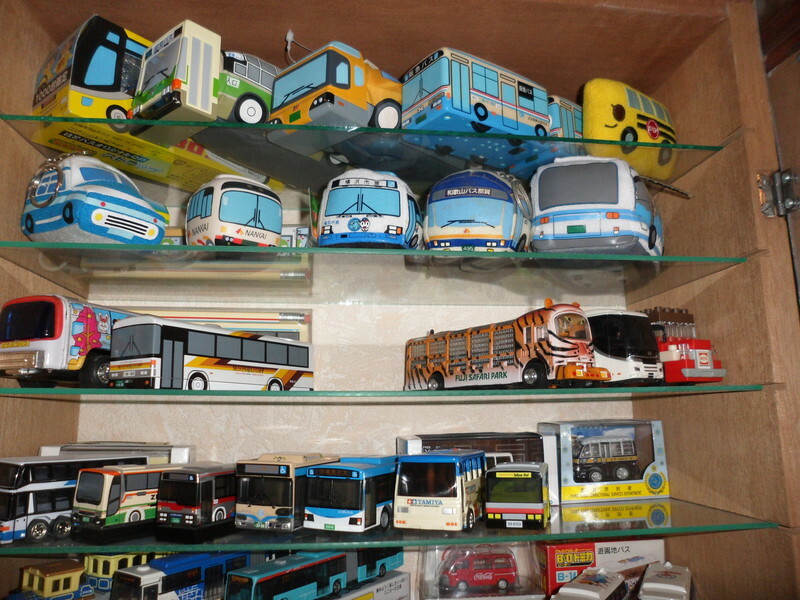 Tsuneaki Nikura and “Mr Double Deck” Takuo Yoshi – who was a collector of double deck buses and helped write publications on model buses for the Japanese enthusiast. 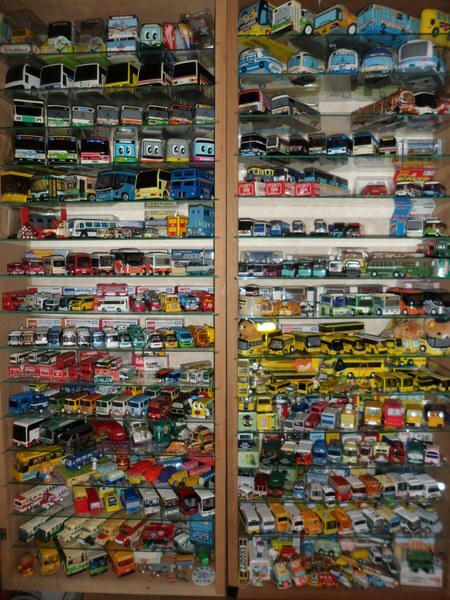 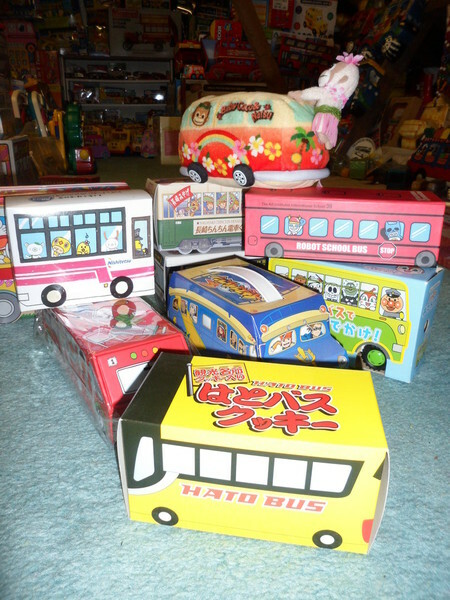 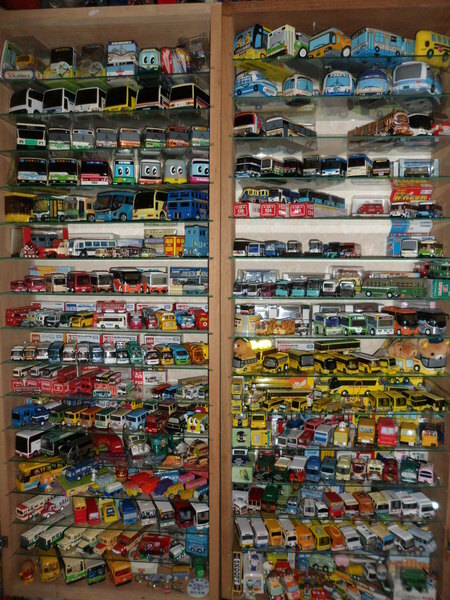 During these years exchanges were made and Geoff acquired many early Japanese tinplate buses alongside the current Diapet and Tomica diecast ranges plus many plastic items available at the time. 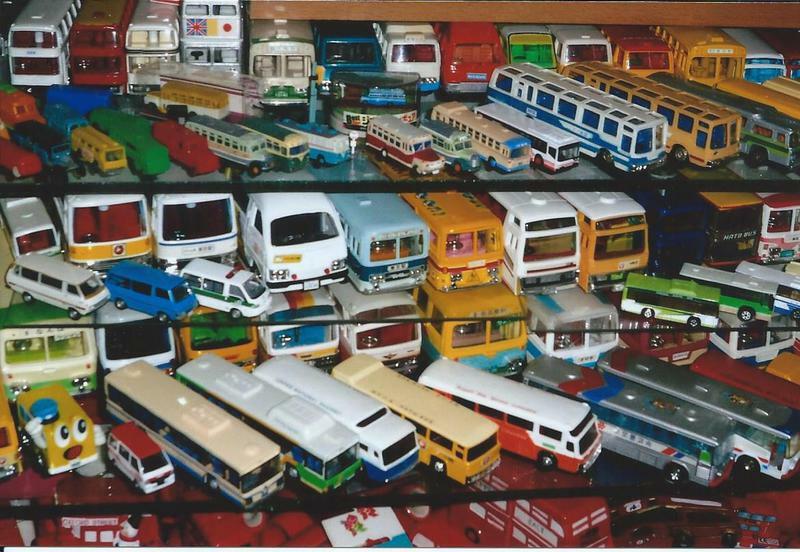 A very close couple to Geoff and Linda for over 45 years, who have spent their life travelling the world and collecting models cars for themselves, and have always looked out for buses for our collection since 2006. 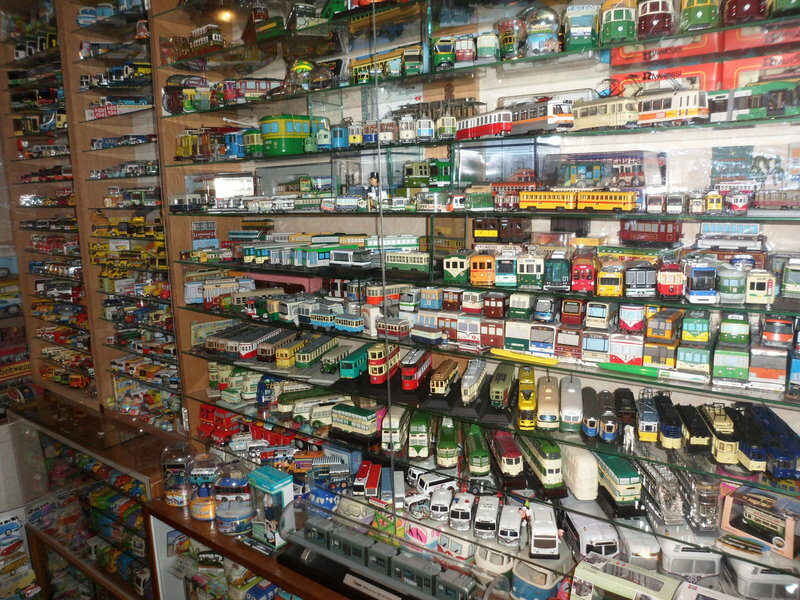 They have been to Japan on a regular basis and added 860 Japanese items to our collection whilst building contacts with collectors in Japan and visiting all parts of the country. 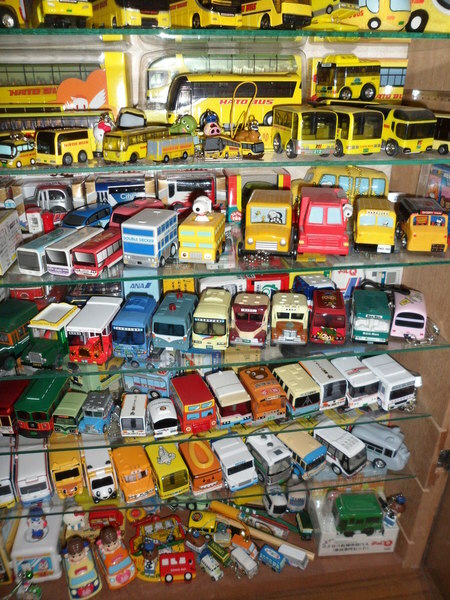 Now local collectors and traders search for buses to help with our collection which must be one of the widest range of items in the world. 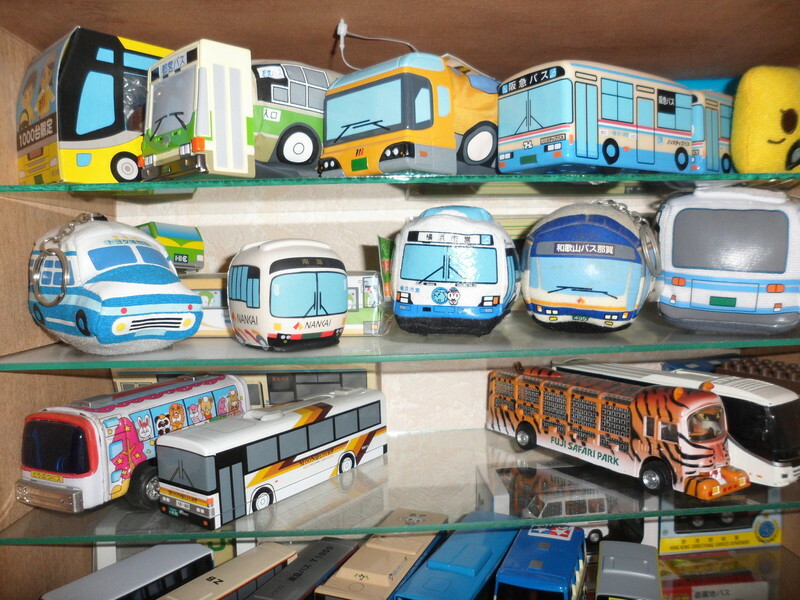 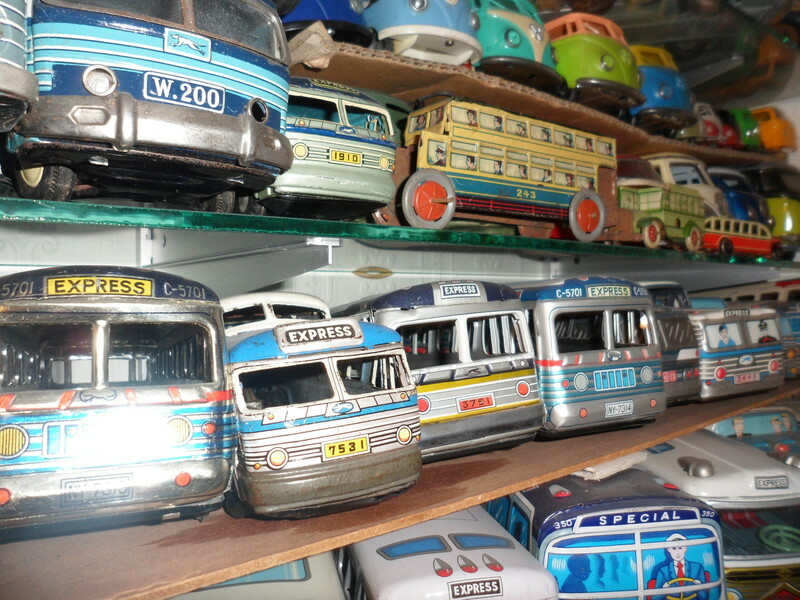 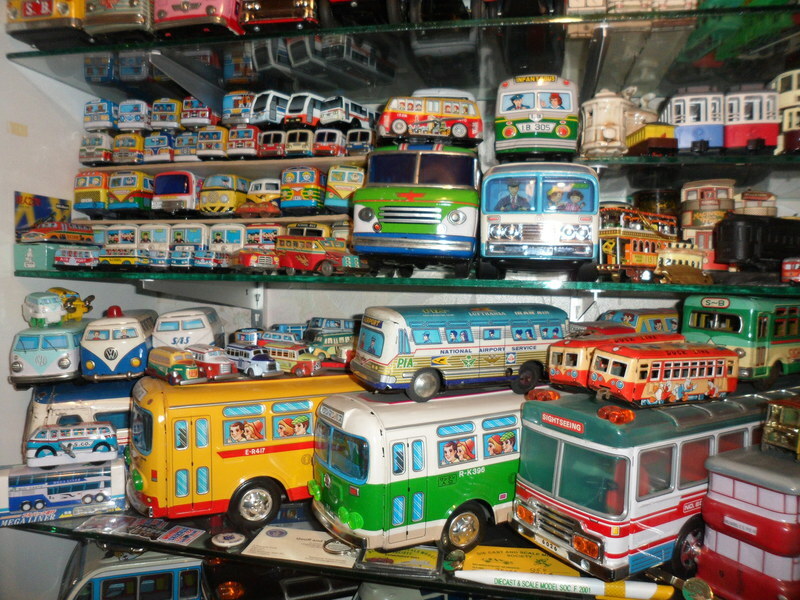 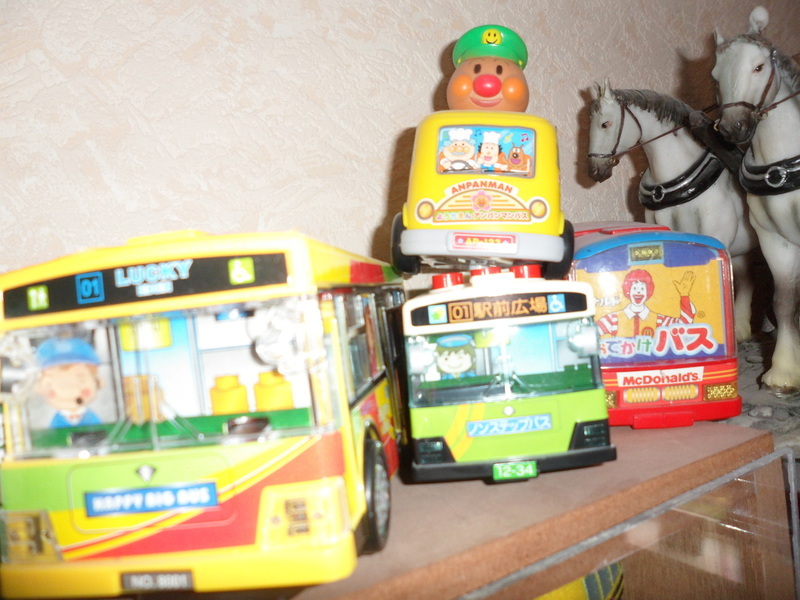 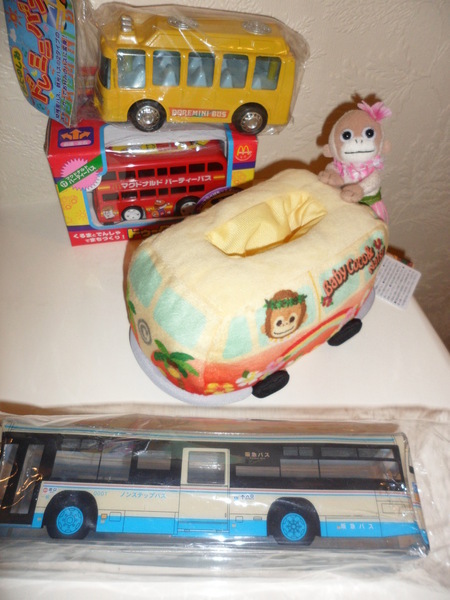 Not just the normal toy buses but we have bus clocks, bus umbrella, bus computer games, biscuit boxes, buses given away with all kinds of products, tins, ceramics, bags and pencil cases, novelties, key chains, lights, soap, boxes with sweets, pencil rubbers. 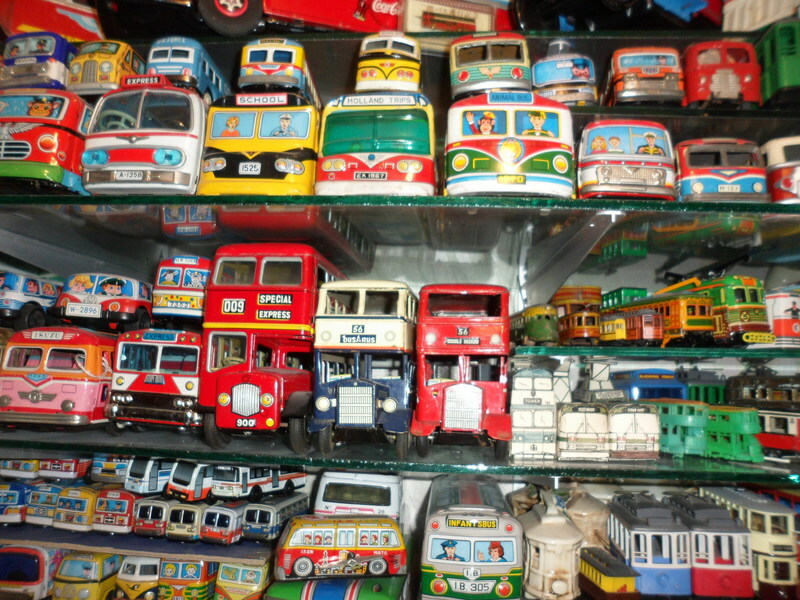 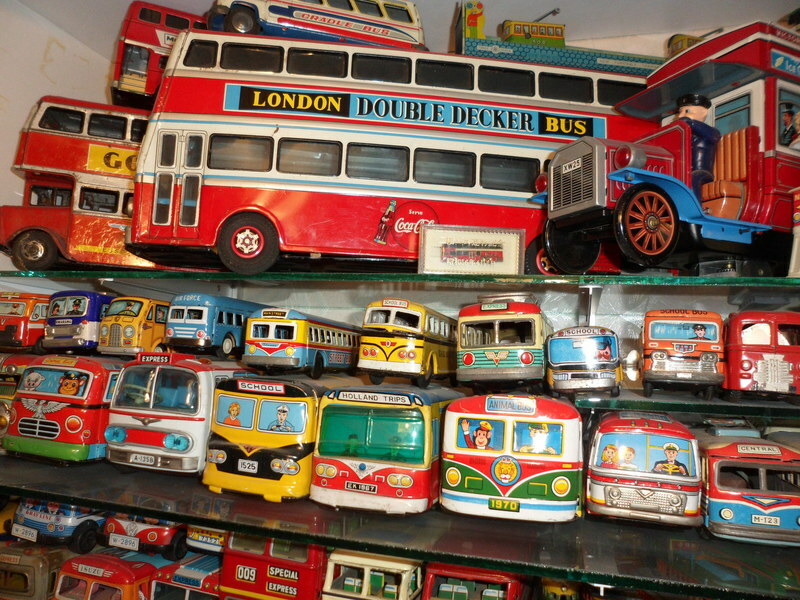 These all fit into the rest of the collection of anything in the shape of a bus. 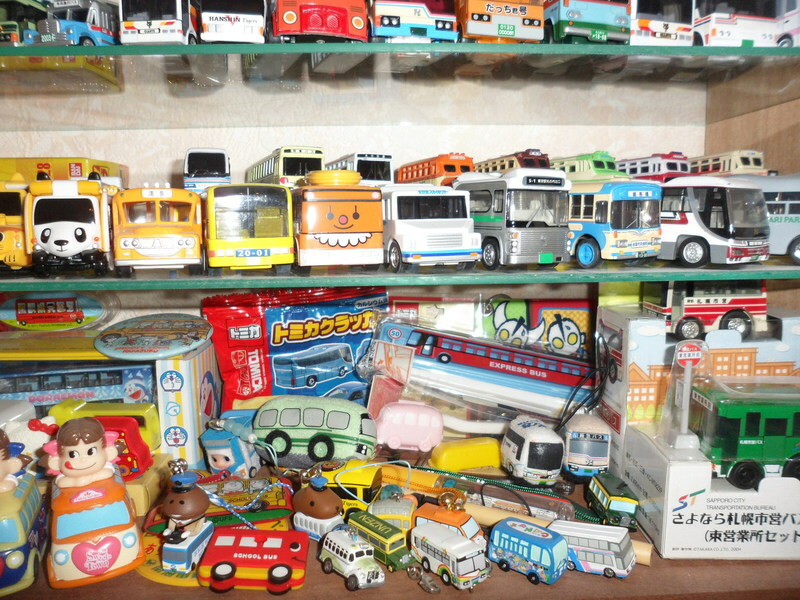 See the selection of pictures of the Japanese collection below.